If you currently shop for comics on New Comic Book Wednesdays and you’re tired of missing issues because they’re sold out or you missed it on the shelf, set up a pull list with us! It is absolutely FREE to join and you save 10% off cover price by subscribing with us! We send out emails every Tuesday evening with the comics from your list that you will be receiving the following day so you know what to expect— you can always reply back to that email if any adjustments need to be made. You can request certain covers or add in or drop certain issues. However, you won’t receive the email if there are no comics coming in that week that you have on your list. If this happens and you want to check the new releases anyway, you can always check on our website here: http://royalcomicsnyc.com/new-releases/ and let us know if you’d like to add anything. 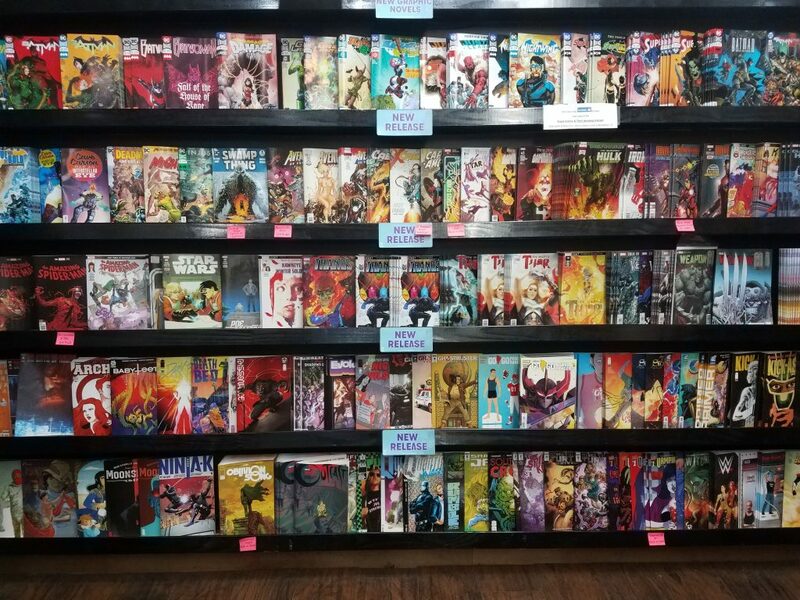 You’ll receive 10% off by subscribing, all we ask is that you pick up the comics regularly and let us know if for any reason you won’t be able to pick up. If comics are not picked up after 30 days, you will receive a call and/or e-mail from us. If we don’t hear back or if no pick-up attempts are made, we will put the account on hold until the held comics are picked up. Communication is key, we’re happy to work with you if your schedule doesn’t allow for frequent pick-ups, we just ask that you don’t leave us hanging on to books if you don’t intend on purchasing them. We order comics two months in advance, so please let us know if you’d like add or drop certain titles as early as you can so we can be sure to adjust our orders to accommodate everyone’s requests. You can add trade paperbacks, graphic novels, and certain toys and statues to your pull list. Finally, sometimes we will automatically add you on to a series if it restarts or if is very similar to one you collect. (Example: if you collect Deadpool we might add you on to a new mini series like Deadpool Kills the Marvel Universe). If this happens, you are not obligated to purchase it, it’s just a recommendation based on what you collect, and you can let us know to drop it at anytime. And lastly, please let us know if you want to cancel your subscription account at any time.